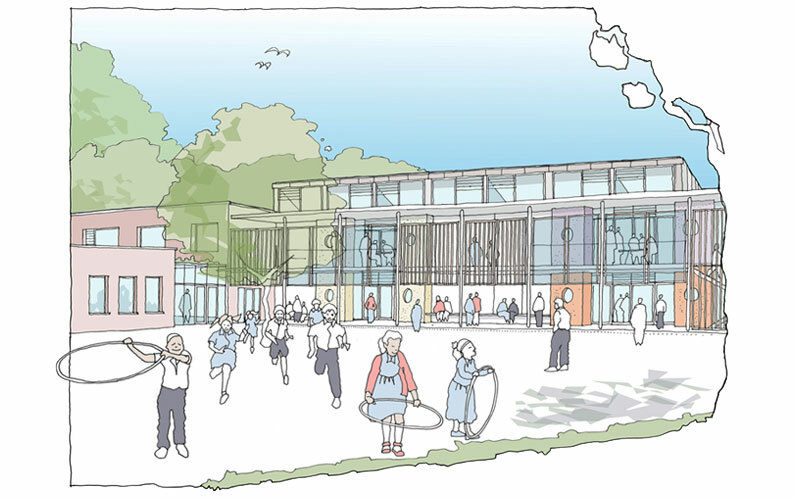 Hannah worked closely with the school and local community to develop a new entrance and classroom blocks that help create a sense of ‘kerb appeal’ for a previously unpopular and struggling primary school. A single storey dappled brick entrance block hugs the street front to give a welcoming porch and reception area. Sections of the external boundary wall were removed to get rid of the fortress look and provide views of a newly landscaped playground beyond. 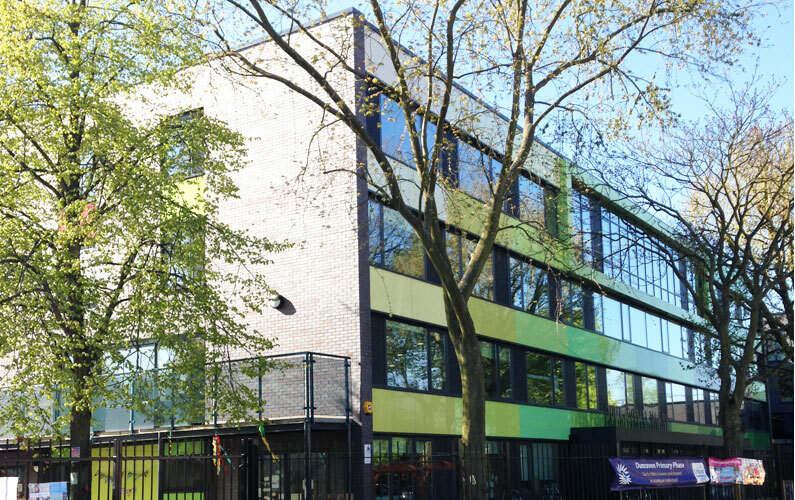 In the new classroom blocks, sliding windows behind anodised metal mesh screens allow in generous amounts of daylight and fresh air. The project has given the school an aspirational new image of which pupils, parents and staff are extremely proud. 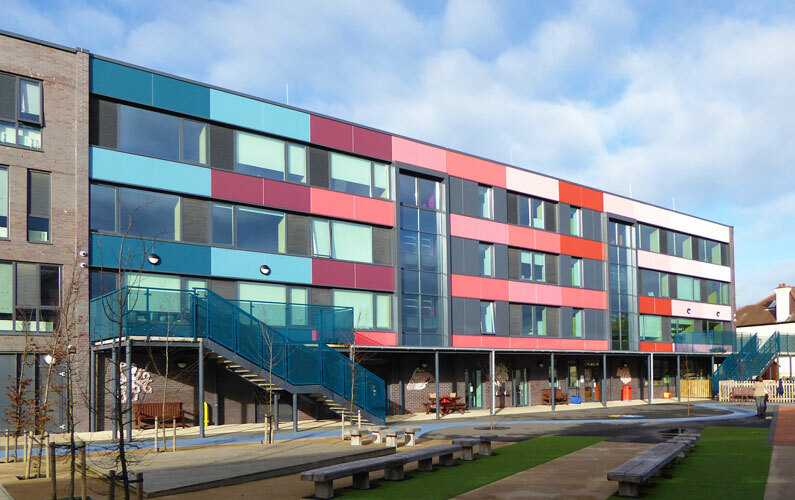 This total overhaul of an existing 1960s concrete slab block into a colourful new primary school building completes the transformation of a secondary school into an all through school. 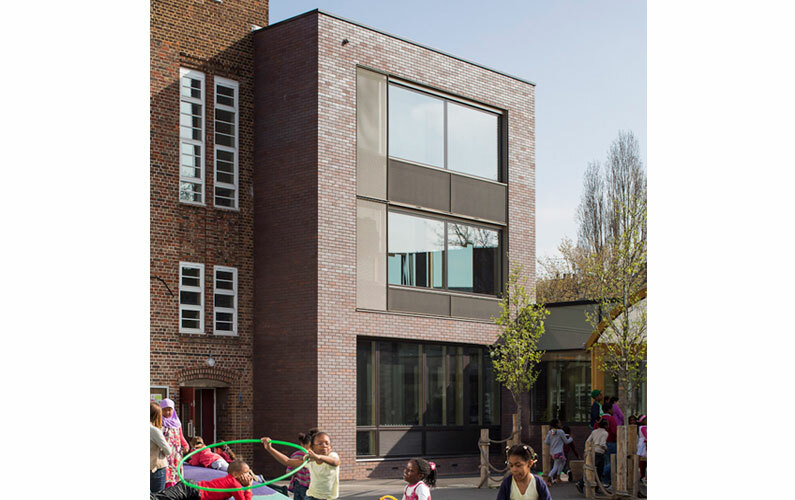 It also provides an exemplar for the sustainable reuse of the embodied energy within existing structures. 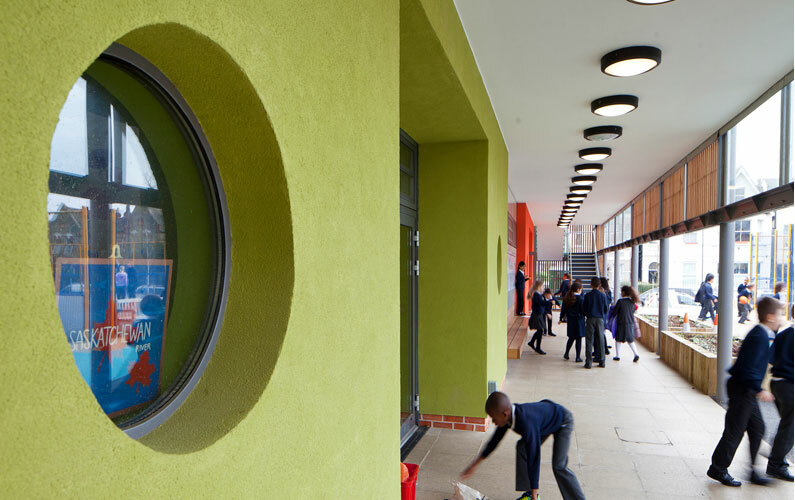 Hannah worked with colour artist Ptolemy Mann to develop an approach to the façade design that would provide a vibrant new environment for the school’s youngest children. On the outer side facing the street and partially screened by large trees we used greens and blues in tonal undulation to merge with the leafy residential surroundings. On the opposite side, the building faces an enclosed playground, and here we used a braver palette of hot pinks, oranges and purples. The thread of colour continued through into the interior design of the building and the fit out included extensive bespoke birch plywood joinery to give a warm and robust high-quality environment. 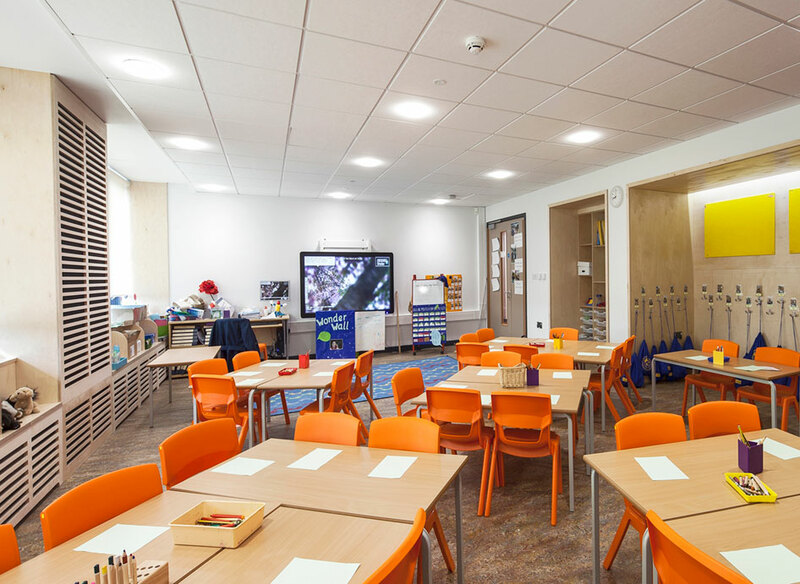 A new timber framed classroom block on a neglected patch of grass on the corner of the school site enabled this school to double its pupil intake. 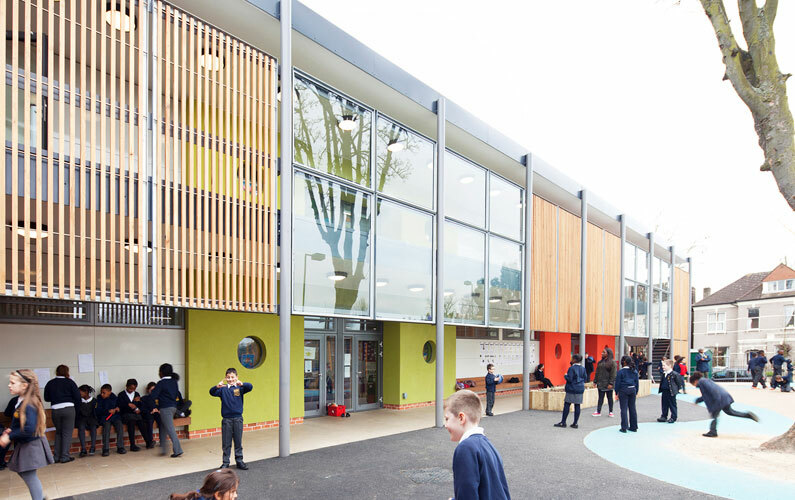 To help the budget extend further the circulation between classrooms is designed as an external veranda space wide enough to provide space for covered play and protected by slatted timber and glass screening. The roof is shaped to maximise daylight and natural ventilation in the classrooms and provide support for an extensive solar panel array. 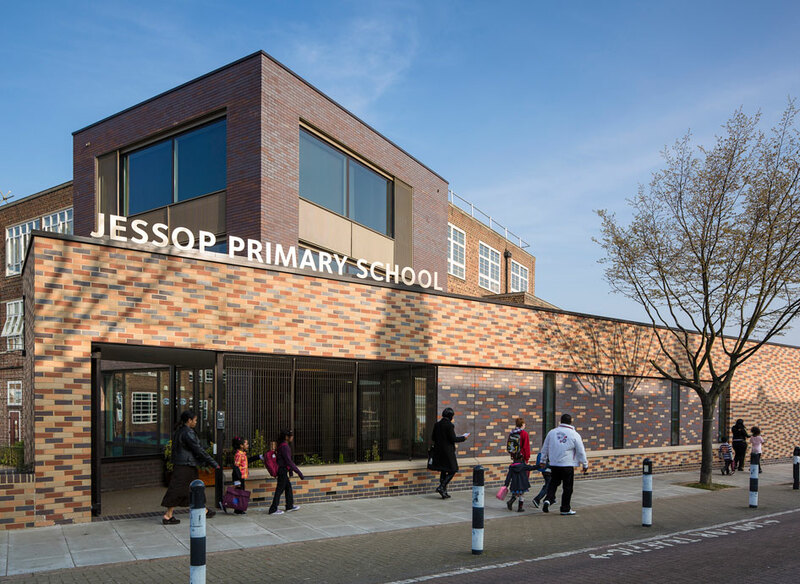 The scheme was complimented by a landscaping scheme that picked up on a theme of rivers with a wiggly bright blue path constructed from resin bound crushed glass running around the school site.